SPRING SPECIALS & PROMOTIONAL OFFERS Valid for a limited time! Purchasing or moving into a new home or condo? 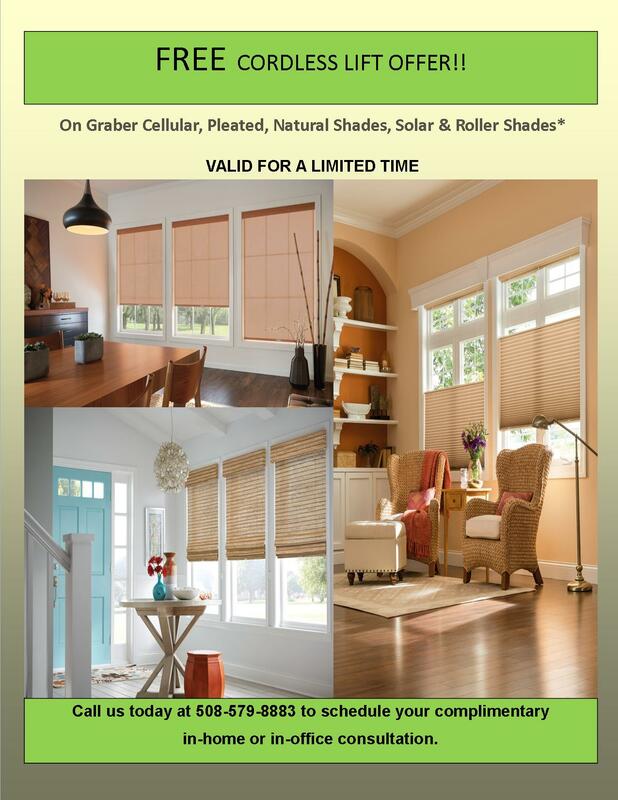 Call us today at 508-579-8883 to find out about our unique & special offers for “multi-window” orders! From expert design advice for product selection to complete professional installation too, we’ve got you covered! Be sure to take advantage of our many promotional specials before they disappear. If you don’t see the product you want listed below, call us today to inquire how we can help!